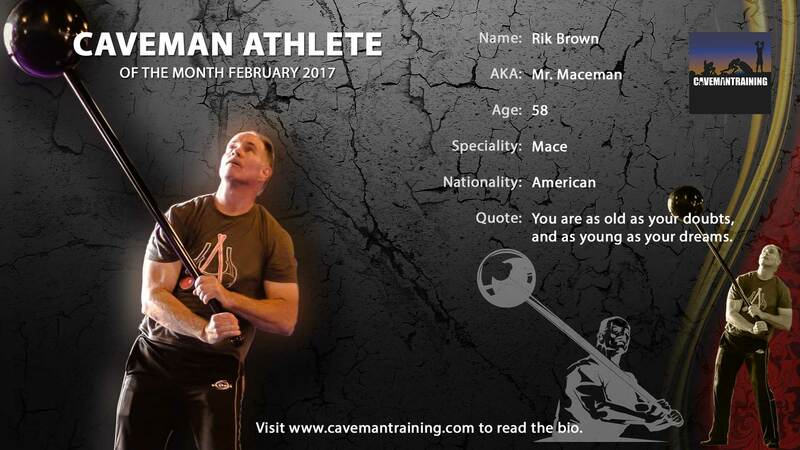 The Caveman Athlete Of The Month February is none other than Rik Brown, AKA Mr. Maceman. You are as old as your doubts, and as young as your dreams. Why did I start unconventional training? I started because I was a failure as a bodybuilder despite devoting years to it. I was unsatisfied with it being so subjective, with success being reserved for the genetically gifted. I learned that strength and conditioning, especially unconventional training could make anyone who is willing to work far better than they were before, despite their bone structure, skin tone, etc. My favourite exercises are mace 10 to 2, and 360’s. 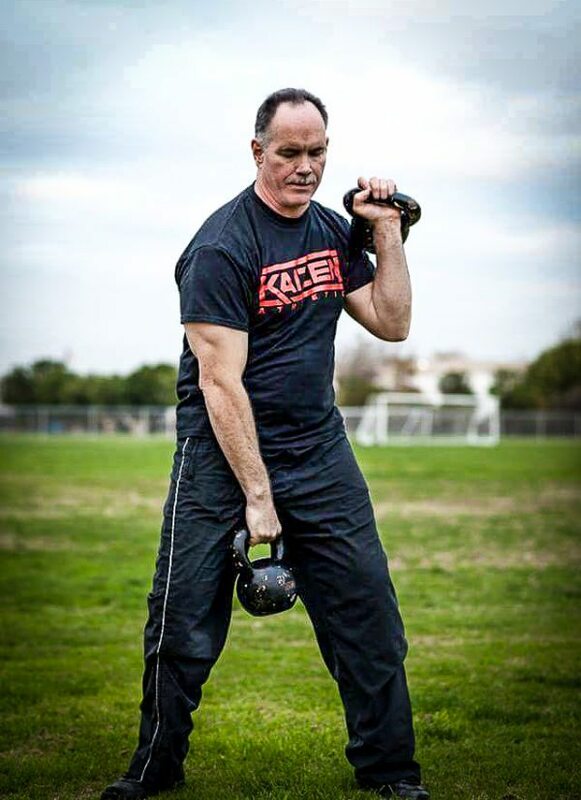 I train six days a week, and my training schedule consists of the following: 2 mace sessions, 1 kettlebell session, 1 club session, and 2 sessions with the Bulgarian bag. 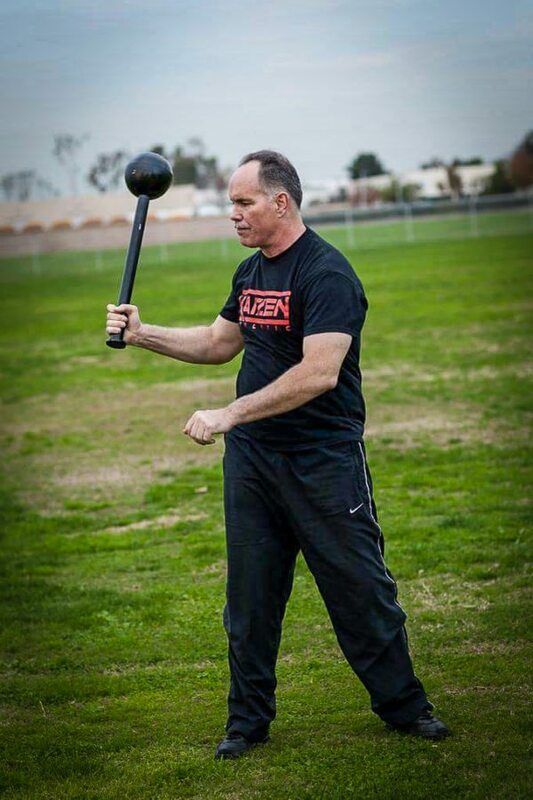 I believe Mace training is awesome because it combines resistance, leverage, inertia, and trajectory in a circular, orbital fashion. I just think that Mace training is one of the COOLEST training methods. A beautiful expression of skilful resistance training. Life achievement that I’m the most proud of are my 9 grandchildren that think I’m the strongest man alive. Shhhhh! Don’t tell them that Im not, please! 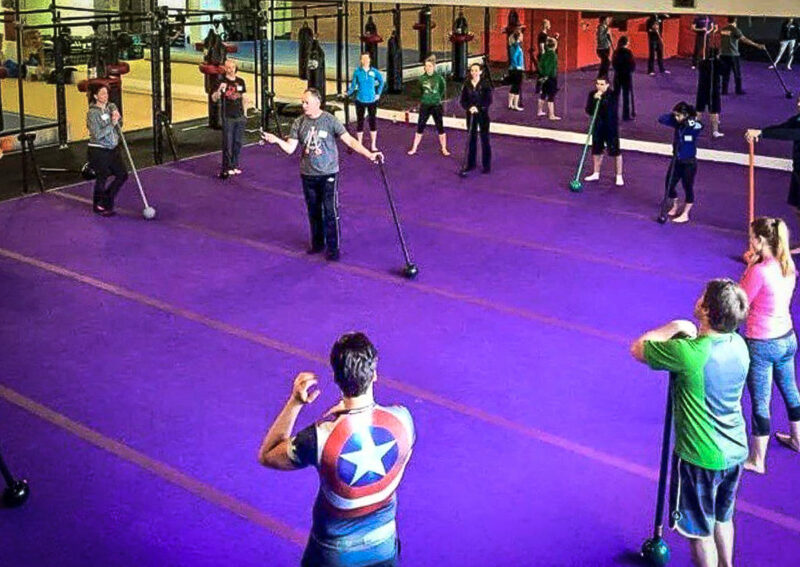 Future goals- Simply put, To present the mace-everyplace. Final thought: My father, once a great athlete (Boxer) died when he was only 64, just a few years older than me! When I’m 64, I still want to be training, traveling, and teaching because you are all invited to my party when I turn 65 in July of 2023! 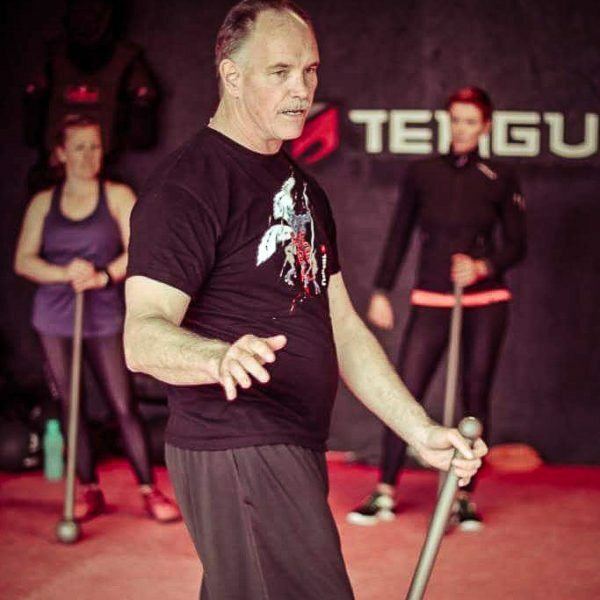 Make sure you nominate your favourite Caveman Athlete on our Facebook and hashtag it with #cavemanathletenomination Let Mr. Maceman know that you like Mace training and share plus like this post here. Check out Riks website for workshop and seminar dates across the world.